Maryland's $9 billion plan to widen expand the Capital Beltway and portions of I-270 are on an advocacy group's list of "highway boondoggles." 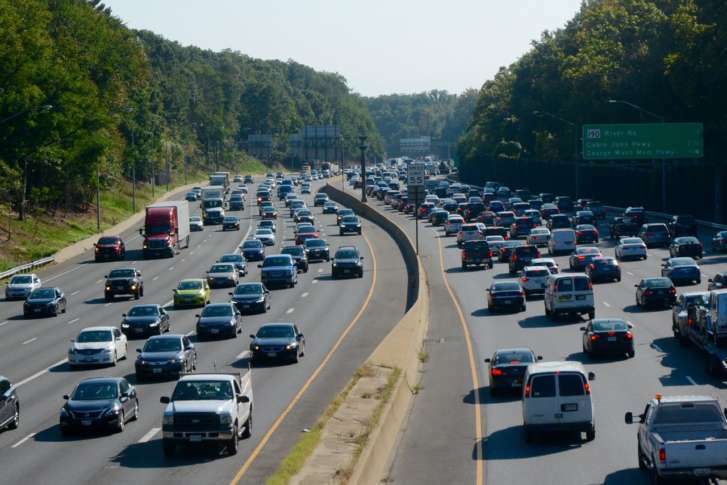 WASHINGTON — Maryland’s plan to spend $9 billion to expand portions of the Capital Beltway and Interstate 270 has earned it a spot on an advocacy group’s annual list of highway “boondoggles,” but Gov. Larry Hogan maintains it is the most direct route to less congestion. Under Hogan’s plan, portions of the Beltway and I-270 would be widened, and paid for through tolling in public-private partnerships. Critics of Maryland’s plan say the idea of increasing road capacity to reduce congestion quickly backfires, because when new highway lanes open, cars and developers ready to capitalize follow closely behind. U.S. PIRG advocates a “fix-it-first” policy, which would improve existing roads and bridges, as well as Metro, MARC and the Baltimore Metro, before spending money on expanding highways. A spokesperson for Hogan told The Washington Post his plan to expand the Beltway and I-270 is part of his balanced approach, which includes spending on mass transit, in addition to highway funding. “Governor Hogan has spent more on transit projects than any other Maryland governor, including moving forward with construction of the $5 billion Purple Line light rail in Montgomery and Prince George’s County, and signing legislation to provide historic funding to fix the Washington, D.C. Metro system,” spokeswoman Amelia Chasse told the Post. “Improvements to relieve congestion on our highways are essential, along with expanded transit options like the Purple Line and Metro improvements,” she added.